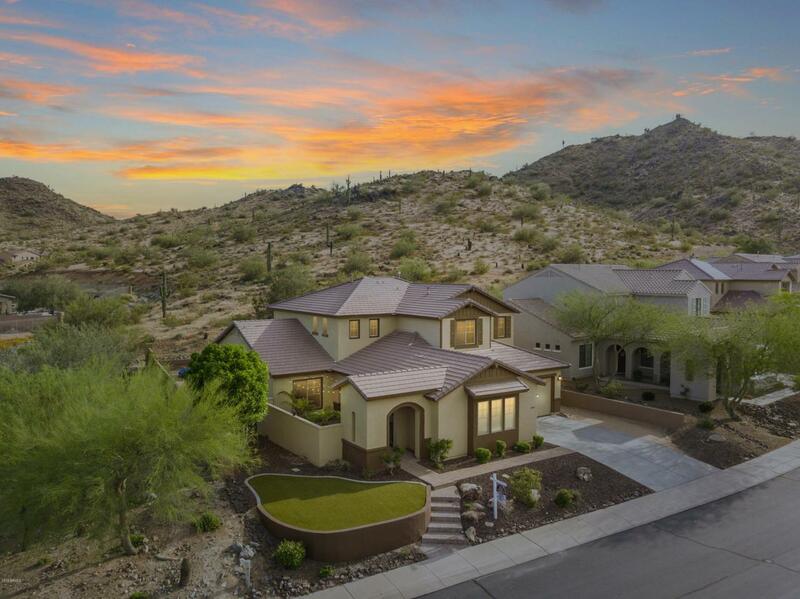 Undoubtedly one of the BEST homesites in Sonoran Mountain Ranch! 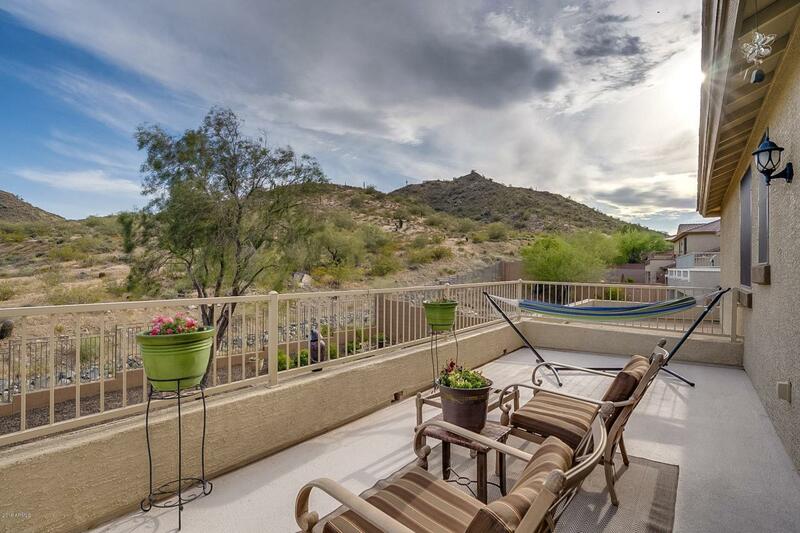 Highly upgraded home backs up to the mountain with beautiful views from the master suite veranda, back covered patio and really feels like there is just 1 neighbor. Open living areas with over-sized tile in all the right places. You will enjoy the Gourmet kitchen with granite counter tops, gas cook top, double ovens, and stainless steel appliances. 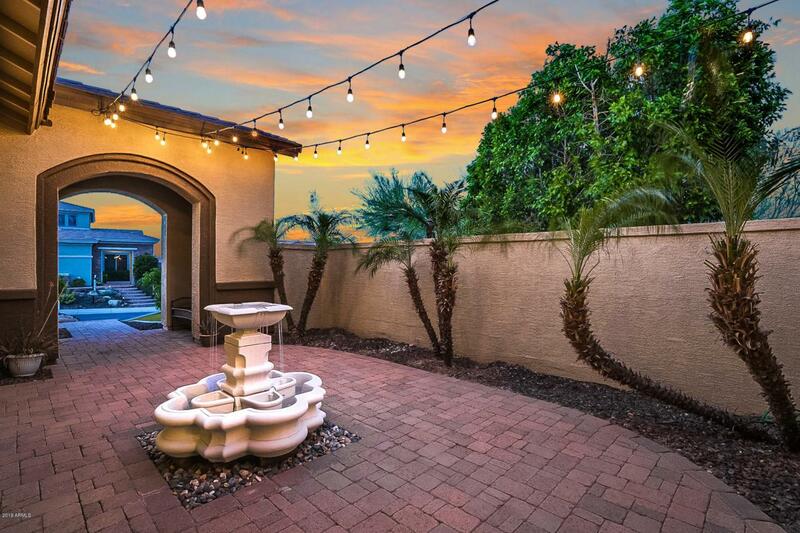 Plenty of room to park all your grown up toys in this extended 3 car garage plus RV gate. Don't forget about the full guest room and bonus area downstairs. Bonus room is not included in total square footage. Spacious master suite with separate sitting area that could also be a den. 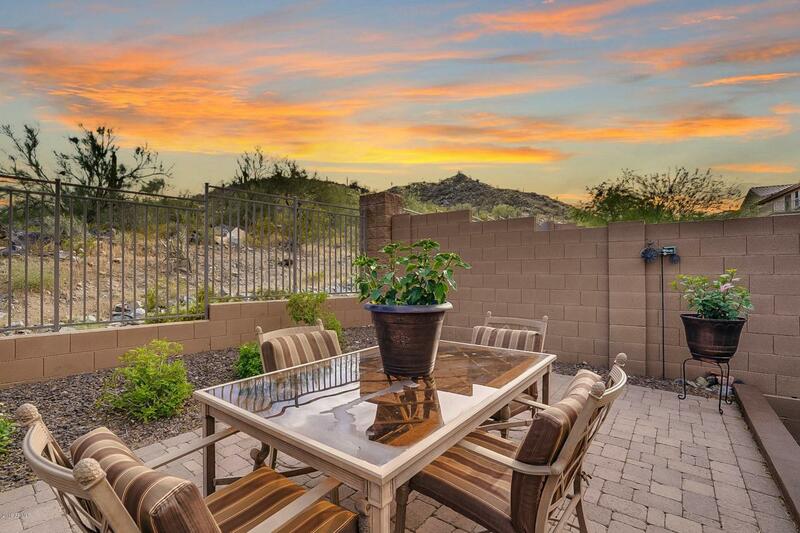 Stop dreaming about a home with this kind of view & wake up to this stunning view every morning!